Sir Adrian Montague is Chairman of the Foundation’s board of trustees and has significant experience of the private sector and government affairs. He is currently non-executive chairman of both insurance group Aviva plc and Manchester Airports Group; chairman of Cadent Gas Ltd; and is a trustee of the Commonwealth War Graves Foundation. 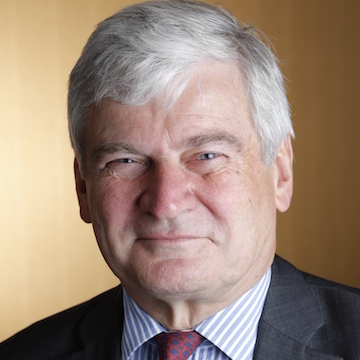 Sir Adrian has held senior positions connected with the implementation of the Government’s policies to expand the use of private finance in the provision of public infrastructure, first as Chief Executive of the Treasury Taskforce, and then as Deputy Chairman of Partnerships UK plc. Sir Adrian has a strong interest in organisational culture. He has worked in banking and as a lawyer and was educated at Cambridge University.